(Washington, D.C., October 1, 2012). Today, Larry Klayman, the founder of Judicial Watch and Freedom Watch (see www.larryklayman.com and freedomwatchusa.org), called upon fellow Jew Jeffrey Katzenberg, perhaps the most powerful man in Hollywood and a huge Obama supporter — Katzenberg having donated or raised as reported today over 7 million dollars for the president's reelection — to use his considerable influence to push Obama to join with Israel at this time to militarily remove the nuclear threat by Iran. "It is clear, as demonstrated recently by Israeli Prime Minister Benjamin Netanyahu, that Mr. Obama's economic sanctions on Iran have not stopped Tehran's march to acquire nuclear weapons in the next few months. Iranian President Mahmoud Ahmadinejad and Revolutionary Guard commanders of the Islamic Regime have repeatedly threatened to use these weapons to wipe Israel and Jews (and the United States) off the face of the earth. In the face of these threats, which were repeated by Ahmadinejad last week at the United Nations' General Assembly meeting in New York, President Obama openly refused to meet with the Israeli prime minister, while making time to appear on the TV show 'The View,' as well as conduct fundraising for his campaign. It would thus appear, particularly given Mr. Obama's apparent antipathy toward Prime Minister Netanyahu and Israel, that he does not place great importance to this threat of a new Holocaust. "Mr. Katzenberg is an extremely influential person with Mr. Obama, as reported today in a front page story in the Wall Street Journal. Indeed, in politics money talks and nobody walks. 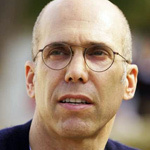 I therefore call on Mr. Katzenberg to use his considerable influence to push Mr. Obama to join with Israel militarily to immediately remove the nuclear cancer that will destroy Israel and Jewry. As a Jew, I am sure that Mr. Katzenberg would not like to see another Holocaust — which is what is likely if we allow Iran any more time to build nuclear bombs and deliver them. No one took Hitler seriously at first, and Mr. Katzenberg must draw from his Jewish heritage to push Mr. Obama to not lose more time and NOW stand with Israel," urged Klayman. For an interview, contact Adrienne Mazzone of Transmedia Group at 561-750-9800 ext. 210.